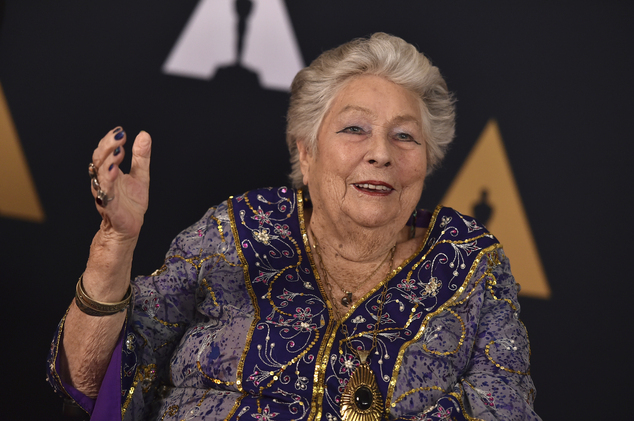 On May 8, 2018, film editor Anne V. Coates died at the age of 92 in Los Angeles, California. She was frequently working welling into her later years and received acclaim as one of the few female editors out there. Her work was acclaimed and spanned more than 60 years, including work that would win her an Oscar for Lawrence of Arabia. Her work was versatile and diverse, reflecting how a simple cut could be turned into an art form. Even if her work goes unappreciated to the casual viewer, it's hard to imagine a world without the magic that she brought to a film, helping to shape it into its inevitable final form. Her work will continue to live on, no matter what genre you tend to enjoy. Coates was born in Reigate, England on December 15, 1925. She was initially interested in horses and wanted to become a trainer. She would go on to graduate from Bartrum Gables College and had a job as a nurse to Sir Archibald McIndoe, who pioneered plastic surgery. It wasn't until William Wyler's adaptation of Wuthering Heights that she became interested in film and began to work on productions for a religious films company. She would edit films that would be distributed throughout England. From there, she got a job as an assistant film editor at Pinewood Studios before assisting Reggie Mills. This was the start of her career, but it would go on to include an Osacr win for Lawrence of Arabia a few decades later. She wasn't at the actual Oscars ceremony when she won, but she would go on to win an Honorary Oscar in 2017. This was symbolic of her career that would evolve since that time, including on films like The Elephant Man, Out of Sight, Erin Brockovich, and more. She would have five Oscar nominations for Best Editing in total. Still, her career continued to blossom and go in interesting directions, including most recently on 50 Shades of Grey. Her work will continue to live on with its impressive focus that showed that women are just as capable of making films with a power and force that men can. She wasn't just a great female editor, but a great film editor in general. She changed the game in a way that's still being felt, and her work will continue to resonate as a result.